Maybe you’re ready for a career change. Maybe you’re still unsure what career to pursue in the first place. Maybe all you really know is that you want to run your own business, but are fresh out of small business ideas. That’s okay—the best business ideas don’t happen overnight. You might need to brainstorm a little. While looking at the booming industries year by year can be tempting, it’s also a good idea to look to your strengths. What is your skill set? What are you great at? This can be an excellent jumping-off point for coming up with the best business ideas. These suggestions should give you somewhere to start. Did I miss your skill set? What are you great at? Share with me in the comments, or on Twitter, and we’ll continue brainstorming! Does your ideal career involve getting your hands dirty—or, at the very least, working with your hands, as opposed to sitting in an office? There are, of course, a million possibilities here; however, I’ve researched a few to get you started. If you’re a fan of tinkering and solving a problem, starting a plumbing, electrician, or general handyperson type business might be a good fit for you. While it’s not as simple as, hey, go start plumbing, if you’re looking for a hands-on career, you might want to consider seeking out a vocational degree in one of these fields and building a business around it. I’ve also linked our free sample plans below, including one specific to starting a plumbing business. Similarly, a construction business could be a great fit for someone who enjoys hands-on work. While you’ll probably need to complete either an apprenticeship or a trade program to get started, if you’re already an amateur or have worked construction in the past (or simply have interest in seeking the education), this might be a great fit. Do you love working on cars? Would you like to do it for a living? Like most other suggestions on this list, trade skills need—you guessed it—a trade or vocational degree before you get started. However, don’t write off your interest as merely a hobby; it could make a great small business idea. If you enjoy sewing, you might like a business specializing in altering or repairing garments. While you don’t need a specific degree or training, you’ll need a certain level of skill to get started with this one. However, if you’re already a great sewer, an alteration business could be a great fit. Do you enjoy bookkeeping, preparing taxes, and generally managing money? Consider starting an accounting business. However, unlike many suggestions on this list, becoming an accountant and opening your own firm will require the right education—generally, you’ll need a bachelor’s degree, and you’ll also likely need to be licensed as a CPA. Like starting an accounting business, you’ll want to look into the requirements for starting a financial planning business. However, if you have a background in finance, or would like to pursue the schooling, starting a financial planning business might be the right small business idea for you. If you’re into some aspect of fitness, a personal training business could be a great small business idea. From general fitness coaching to becoming an instructor (think Zumba or Pilates)—if you’re more motivational than Chris Traeger from Parks and Rec, a personal training business might be a successful route for you. After all, the best business ideas for you will be the ones that play to your strengths. Bear in mind that like many options on this list, you’ll need certification. NASM, ACE, and ACSM are a few of the most common and well-respected certifications, but the path you choose will depend on your specific focus. Did you successfully navigate a difficult situation against all odds, and come out stronger on the other side? Do you see the best in people, and want to help them reach their full potential? If so, you could consider building a small business around life coaching. Sites like Elance and Upwork are great places to get started freelance writing, and you can easily build a small business around your skills as a freelance writer, or potentially expand to include other writers (or graphic designers, web designers, and so on) down the road. Another great thing about starting a freelance writing small business? You can tailor it to your strengths. Whether you’re interested in copywriting, technical writing, or writing for trade publications, writers are always in demand. Similarly, editing and proofreading services are always needed and would make a great small business idea. You can begin by taking on freelance work and go from there (and surprise—you’re already a sole proprietor!). If you have an eye for detail (read: don’t let mistakes go unnoticed!) your skills might be put to good use helping job-seekers perfect their resumes. If you love gardening, but would rather share your expertise than physically help others with their personal gardens, starting a garden center might be the right small business idea for you. You can advise and educate other enthusiasts on what it takes to make their gardens beautiful. If, on the other hand, you do love the idea of working hands-on, you might consider a landscaping or lawn care business. While you’ll certainly need the skill set to get started, some lawn care services are ultra-basic to start (think mowing) and you can learn and add on more services over time. If you’ve got a great eye and are always the one who documents special moments, you might want to consider making a career out of your photography passion. While the competition is pretty stiff, specializing in a specific area, such as pet photography, weddings, or portraits can help set you apart. Taking the idea of “detail-oriented” in the most literal sense, a car detailing business could be a small business idea that is not only lucrative, but that plays to your strengths. If you’re naturally tidy and enjoy keeping places clean, consider starting a house cleaning business. It’s fairly easy to start, requires no training or certification, and if you’re detail-oriented, it could really play to your strengths. While it does take licensing to become a massage therapist, starting a massage therapy business can be a great career for someone who enjoys working with people, and making them feel relaxed and peaceful, or helping them manage pain or injury. Like a massage therapist, you will need a license to be a hairstylist, esthetician, or nail technician. However, if the training sounds enjoyable, consider looking into starting a salon or spa business. There are endless ways that you can help others by starting a nonprofit business. What problem are you passionate about fixing? Starting a nonprofit business can be a rewarding life path, as it can enable you to both make money and make a difference. If you know multiple languages, excelled at a certain subject in school, or are good at explaining concepts in a way that is easy to understand, consider starting a tutoring business. You can specialize in a particular area, depending on your skill sets, such as paper writing, languages, math, or test preparation—the list goes on. So, you love to teach—but the idea of rehashing high school chemistry doesn’t really do it for you? Consider starting a business based on teaching what you do love. Maybe you’re a skilled potter or a trained dancer? Love to practice yoga, and are interested in becoming an instructor? Whatever your skill, there are likely people who’d love a teacher. Do you have the solution to a common problem or pain point that you feel is experienced by many? Consider building an app—it’s easier than you’d think. Similar to teaching a class based on your skills, you may want to evaluate what you currently excel at, and see if it would make a good consulting business. Consulting firms exist covering a huge variety of topics, from business to IT, to public relations, and more. Live and breathe social media? Start a social media consulting business, helping businesses leverage their social presence. You get the idea. If you’re good with children, you’re in luck—childcare is always a needed service. You also have plenty of options; you could go the full-time nanny route, establish a childcare service out of your home, or rent commercial space, depending on your goals. Do you love animals? Was dog walking your preferred job when you were in high school? Parlay this into a career by starting a pet boarding service, a daytime doggy daycare, or a pet grooming service. Do you have a passion for helping the elderly have a better quality of life? If so, you could start a small business focused on assisting senior citizens. Whether that be running errands, taking members to social functions, or helping them around the house, there are plenty of options, and starting a business helping others can be deeply rewarding. What I learned from writing this article? This list barely scratches the surface. The possibilities really are limitless—so don’t be afraid to play around. 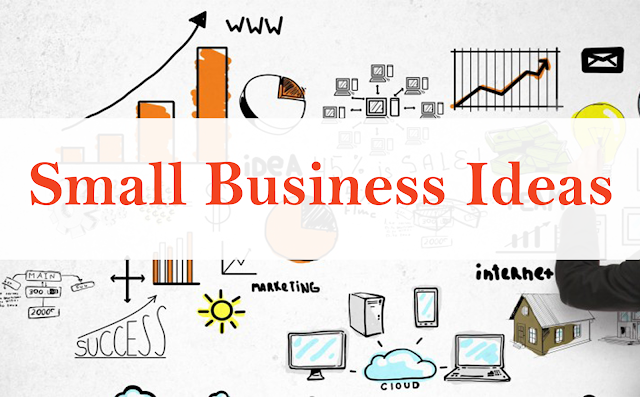 Brainstorm, think of your strengths and consider how you can turn them into the perfect small business idea. If you get excited over a well-planned itinerary (hey, no judgement—I’m right there with you), you might want to look into starting an event planning business. From weddings to parties to corporate events, if you can rise above the competition (which is admittedly very present), event planning is an ideal small business idea for the über-organized. Similarly, if you are great at keeping on task and getting things done efficiently and in an organized manner, starting a personal assistant business might be a good fit for you. If you’re the consummate night owl who enjoys interacting with people, starting a bar or a club might be a great fit for your personality. No matter where you live, your area is likely full of bars to begin with—so make sure you do your market research. What is your community missing? What kind of place would you personally want to hang out in? On the flip side, do you dream of a job that would leave your evenings free—and love a good cup of coffee and a pastry? Consider starting a coffee shop, a cafe, or a bakery. While the idea that 90 percent of restaurants fail within the first year may be a myth, there’s no doubt that the restaurant industry is a difficult one to be successful in. However, if you value a career that is exciting, holds non-standard hours, and lets you fill a need in your community, opening a restaurant might be right for you—just be prepared to work hard to stand out.